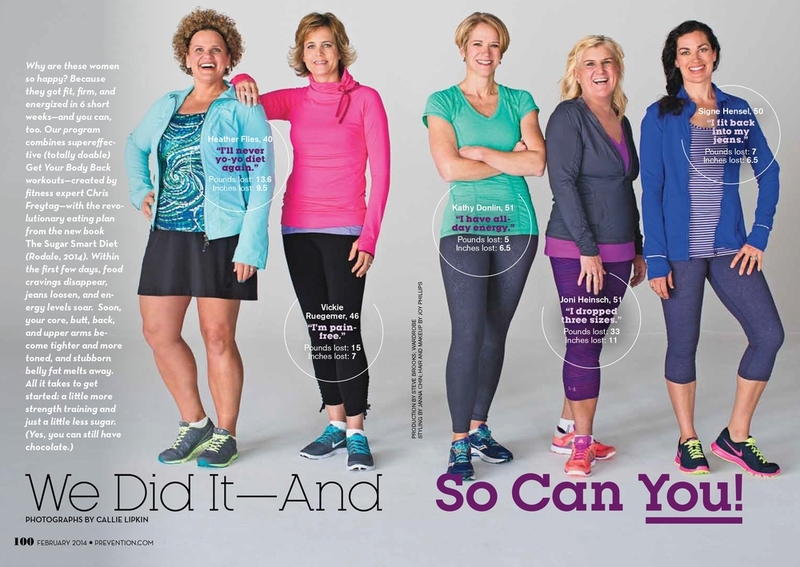 In December, I had the privilege of photographing a group of women in Minneapolis for Prevention Magazine. They were all part of a 'Get Your Body Back' feature because of their involvement with expert trainer Chris Freytag's Sugar Smart Diet. It all took place in the suburbs right where I grew up. I love a project that has some diversity, and this one delivered - we had a studio day, a snowy outdoor running set up, a location at my old jr high, and of course some toddlers just for fun. These women were an inspiration to get healthy and fit. A perfect start to the new year! Special thanks to Steven Brooks for his production help, Joy Phillips for styling, Janna Chin for wardrobe and Nathanael Filbert for assisting.